You are here: Home / Events / REPORT! CHARITY RIDE IN THE HIMALAYAS! REPORT! 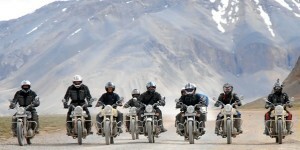 CHARITY RIDE IN THE HIMALAYAS! Hey, everyone! 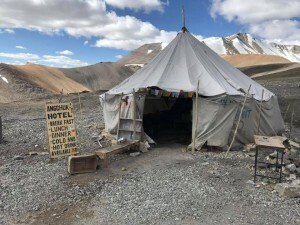 Back in May I made a Blog Entry about some very determined folks who were set on doing a charity ride in August through the Himalayas. 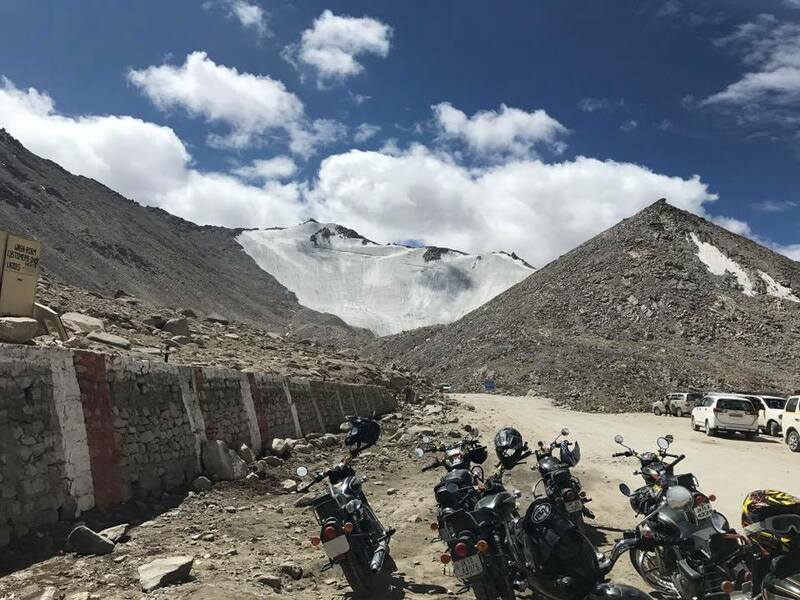 They were to ride on their old Royal Enfield bikes through some of the highest and most dangerous terrain in the world, all for charity and the AWARE Foundation. These brilliant and brave lads all made it back in one piece, the trip was a great success but not with out it’s scrapes, bruises and broken bones. Thirteen brave men riding over the two highest motorable roads in the world, the Tanglang La pass and the Khardung pass. 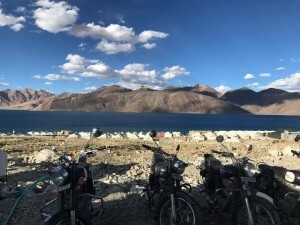 With heights up to 18,000 feet in the air and with 1,300kms to travel, you can imagine there must have been a fair few bumps in the road and and there certainly were- we hear that one unfortunate bloke ended up coming off his bike but the Knox Armour he was wearing was a literal life saver, protecting him when another bike impacted with him. Fortunately he made it through that experience with just four broken ribs and a painful story to recollect- but what a hero- after a couple of days he was back on the bike to complete the tour. Despite numerous hardships and having to live without the usual creature comforts for a while, these gents managed to raise an amazing £5000 for the AWARE Foundation. Well done guys, and thank you all for your generosity and selflessness. Thanks for reading, guys! And well done again to the thirteen legends that went on this journey. Until next time!